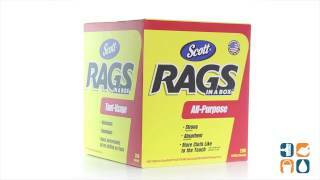 Every home or business needs strong, absorbent towels for daily cleaning or wiping up spills – and Scott Rags are the perfect solution. Made from cellulose fibers with latex binder, these white disposable towels offer thickness, absorbency and strength. Ideal for a multitude of jobs, including business projects and major home improvement projects, as well as general business cleaning and housekeeping. Packaged in a convenient box with handle holes to allow for easy transport and a pop-up hole in the center for continuous access to individual wipes. 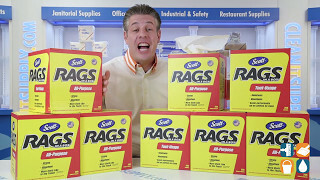 With 200 shop towels per box and 8 boxes per carton, you'll always have some on hand. Call today to order and save!